South Shields are set to renew acquaintances with Morpeth Town on Tuesday in what promises to be an exciting Integro Cup tie at Mariners Park. Supporters will be able to watch the match at a reduced cost after the club made the decision to adjust ticket prices for the first round tie. Tickets will cost £6 for adults, and £3 for students, over-65s and under-16s. Seats are an additional £2. Any supporters who have already bought tickets at the original prices will have the difference reimbursed. The club is in the process of contacting them all to arrange this. Joint managers Lee Picton and Graham Fenton are expected to field a team featuring senior players alongside a number of the club’s successful academy squad. The academy started their ECFA Premier League campaign with a 7-2 win over York College i2i on Wednesday. The Integro Cup proved to be a fruitful competition for the Mariners last season after they reached the semi-finals, with numerous players from the club’s academy impressing along the way. 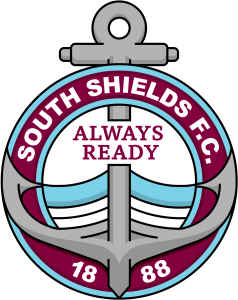 This first round tie comes four days before Shields take on Stockport County in the Emirates FA Cup at Mariners Park. Tickets can be bought in advance online 24 hours a day by clicking here, or in person at Mariners Park between 1pm and 5pm on weekdays. Seated season ticket holders have until 5pm on Friday to secure their seat before the remaining seats are put on general sale. Tickets will also be available at the turnstiles on matchday.